Our club has been busy. We visited the State Capitol and had a tremendous tour. Our guide was full of information and spoke loud enough for all of us to hear. We also had a party for our inbound exchange student that was hosted by our president, Peggy Strom. It was a terrific event that was attended by many of our members. On a personal note, I want to the thank so many members who have helped out Nancy and me with our current struggles. At the end of this month seven new members will have taken part in a Rotary orientation. These orientations are also good for the other members who attend because it can reinforce what attracted us to Rotary. For instance, through Rotary I can volunteer my skills, improve my community and build my network. There are more than 1.2 million Rotarians worldwide, 34,200 clubs and 532 Rotary districts. We are members of a great worldwide organization. Wear your pin with pride. This month we are really starting to focus on our fundraising event, "The Taste of the Hops". Local brewers are coming on board and we have the Green Mill agreeing to participate. Things are starting to come together, but we need the help of everyone in our club to make this event a success. March is President Elect month in the Rotary year. Our next president, Kent Peterson, will be going to the President Elect training session this month. From personal experience I can tell you it is well worth the trip and expense. I hope Kent has a great time and learns a lot about Rotary. Remember to wear your Rotary pin and be ready with an elevator speech about Rotary when people ask you about the pin. February is when we award our Paul Harris Fellow in conjunction with NYFS's Service to Youth awards dinner. This year we are giving our Paul Harris Fellowship to our own Paul Bartyzal not only for all the work he does for our Rotary Club, but all the work he does for the Boy Scouts of America. The presentation will be on Thirsday, Fenb. 9 at NYFS beginning at 5:30. It is a very inspirational night and I encourage you to attend. A friend who is a computer expert received the following directly from a system administrator for a corporate system. It is an excellent message that ABSOLUTELY applies to ALL of us who send emails. Please read the short letter below, even if you're sure you already follow proper procedures. Do you really know how to forward emails? 50% do ... 50% don't. Do you wonder why you get viruses or junk mail? Do you hate it? Every time you forward an email there is information left over from the people who got the message before you, namely their email addresses and names. As the messages get forwarded along, the list of addresses builds, and builds, and builds, and all it takes is for some poor person to get a virus, and his or her computer can send that virus to every email address that has come across his computer. Or, someone can take all of those addresses and sell them or send junk mail to them in the hopes that you will go to the site and he will make five cents for each hit. That's right, all of that inconvenience over a nickel! (1) When you forward an email, DELETE all of the other addresses that appear in the body of the message (at the top). That's right, DELETE them. Highlight them and delete them, backspace them, cut them, whatever it is you know how to do. It only takes a second. It only takes a second. You MUST click the 'Forward' button first and then you will have full editing capabilities against the body and headers of the message. If you don't click on 'Forward' first, you won't be able to edit the message at all. OR you can copy the meatof the email and then paste it into a clean one to send on. (2) Whenever you send an email to more than one person, do NOT use the To: or Cc: fields for adding email addresses. Always use the BCC: (blind carbon copy) field for listing ALL the email addresses. This is the way the people you send to will only see their own email address. If you don't see your BCC: option click on where it says To: and your address list will appear. Highlight the address and choose BCC: and that's it, it's that easy. When you send to BCC: your message will automatically say 'Undisclosed Recipients in the 'TO:' field of the people who receive it. (3) Remove any 'FW:' in the subject line. You can re-name the subject if you wish or even fix spelling. (4) ALWAYS hit your Forward button from the actual email you are reading. Ever get those emails that you have to open 10 pages to read the one page with the information on it? By forwarding from the actual page you wish someone to view; you stop them from having to open many emails just to see what you sent. (5) Have you ever gotten an email that is a petition? It states a position and asks you to add your name and address and to forward it to 10 or 15 people or your entire address book. The email can be forwarded on and on and can collect thousands of names and email addresses. A FACT: The completed petition is actually worth a couple of bucks to a professional spammer because of the wealth of valid names and email addresses contained therein. DO NOT put your email address on any petition. If you want to support the petition, send it as your own personal letter to the intended recipient. Your position may carry more weight as a personal letter than a laundry list of names and email addresses on a petition. (And don't believe the ones that say that the e mail is being traced; it just ain't so! ACTUAL FACT: Most e-mail petitions are worthless because they do not fully identify the signer by street address, etc. nor does it prove that the signer really signed it. Don't forward them. Some of the other emails to delete and not forward are: a) The one that says something like, Send this email to 10 people and you'll see something great run across your screen.' Or sometimes they'll just tease you by saying something really cute will happen. IT AIN'T GONNA HAPPEN!!!!! (We are still seeing some of the same emails that we waited on 10 years ago!) b) I don't let the bad luck ones scare me either, they should get trashed. c) Before you forward an 'Amber Alert', or a 'Virus Alert', or some of the other emails floating around nowadays, check them out before you forward them. Most of them are junk mail that's been circling the net for YEARS! Just about everything you receive in an email that is in question can be checked out at Snopes. Just go to http://www.snopes.com/. It's really easy to find out if it's real or not. If it's not, please don't pass it on. So please, in the future, let's stop the junk mail and the viruses. Finally, here's an idea! Let's send this to everyone we know (but strip my address off first, please). This is something that SHOULD be forwarded, so do it. August is not a busy month in the Rotary year. We don't have any events this year, but we do have our craft beer tasting event next year. Please submit suggested names for the event. The fundraising committee will pick 3 or 4 and the club will vote for what it wants the name to be at a meeting in late August or early September. The Committee's next meeting is on the 19th. We are making good progress, but feel free to help us in any way you can. Membership needs to be on everyone's mind all of the time. 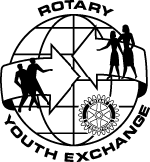 At our meeting on March 29, the speaker was asked when he is going to join Rotary. This was an excellent question. I followed up with the speaker by sending hmn some information on Rotary. Ken Hola is going to follow up with him in person to invite him to join. Let's hope our efforts are successful. It is little things like this that will increase our membership. Another small thing is to wear your Rotary pin and be ready to answer the inevitable question you will get about Rotary. March is a month that doesn't have much going on in Rotary. It is a good time for reflection on how we can improve our club. We always have to be thinking of new fundraisers, and how to improve the one we have now. If you come up with any ideas, please share them with Ken Hola or me. In order to do the good things Rotary does in the community, we need the cash. No matter how far-fetched the idea, let Ken or me know. Our Variety Show was a great success. One of my guests commented that the entertainment was fantastic. Thanks Ken Hola for doing a tremendous job. And also thanks to Kent Peterson for all the work he did in running the silent auction. Next up is helping out at Second Harvest Heartland on Febuary 3. Remember to wear your pin. This month we have the most important fundraiser we have. No one likes to asks others for money, but it is vital to our club's success that we raise as much money as we can. One of my consistent contributors did not not give this year and I am really down about that. However, I must pick myself off the mat and find another donor. Remember the worse thing that can be said to you is no. Just ask. In the past month we have received two applications for membership. This is great news. Thanks to John amd Frank for their work on this. Several of our members are acting as mentors in the STRIPES program that was started in the Moundsview schools. Once a month we have lunch with students who are in the STRIPES program at Highview Middle School in New Brighton. If you want to become a mentor, let John or me know. Our Rotary Club will be ringing the bell for The Salvation Army this month at Cub in Arden Hills. Our Christmas party will be at Mark Stange's home on Dec. 15. There will not be a regular meeting that morning. Not much is going on in October. The most important thing we need to do is line up entertainers and sponsors for our variety show. Because we will be spending more time inside, wear your Rotary button and be ready with a quick response to the inevitable question about Rotary. Most people have heard of Rotary, but many have no idea what we do. 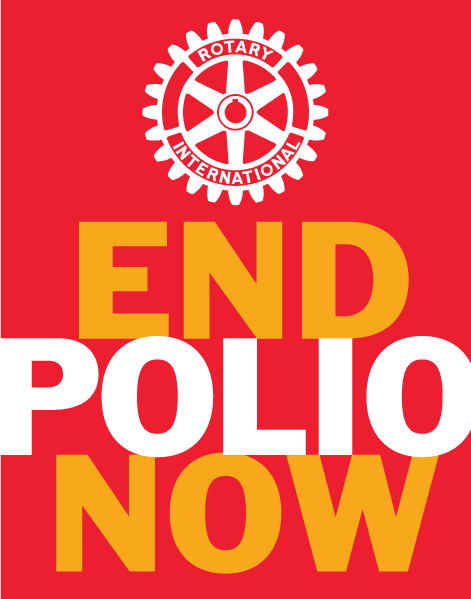 Be ready to educate those that ask, "What does Rotary do?" Thought for the Month - Who Said It? Old sea story about a ship's Captain who inspects his sailors. Watch for a Photo Journal coming soon!